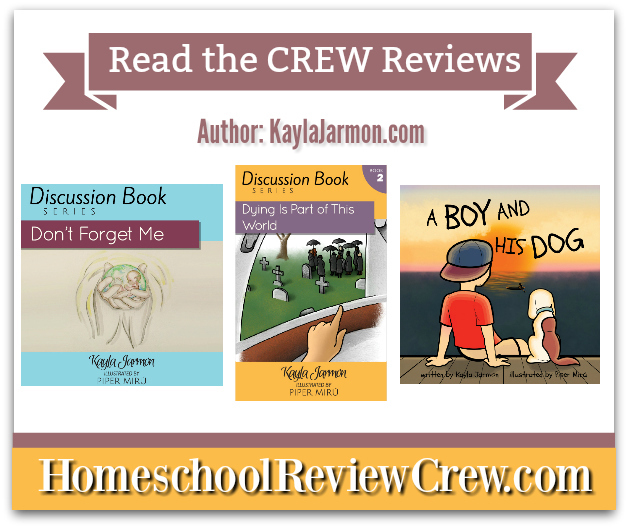 We recently got the chance to read three books by Kayla Jarmon. Her bio is enough to entice other families to pick up her books. In her website, she describes herself as author, mother, and friend. Here is our review if you would like to see. Boy-dog stories are pretty common in children’s literature. But even though it has been done many times before, the friendship between a lad and his furry pal can still tug at the heartstrings. This book is no different. This book explores the sweet relationship of a boy and his dog. A boy and his dog are friends for life, the book boldly proclaims. They sleep beside each other and play together. All those mundane things that anyone who has ever had a dog can relate to. The illustrations are nothing elaborate and the color palette has a simplicity to it that makes it seem like a child chose the scheme. It feels like these were done intentionally to emphasize the innocence of the story. To be honest, I glossed over this book with my kids. As a newly minted five-year old and three-year old, I don’t think they’re ready to have a full discussion of death. Especially since their only brush with it is the death of a fish late last year. The time will come, I know, when they will know the full magnitude of it. When that happens, I will have this book to help me explain it to them. In the meantime, I use some parts of the book to reference that death is a part of our world, but we look forward to a time when Jesus will render it useless. Dying is a Part of This World also takes a more hopeful view of loss and grief. It contains scripture references and great question to help answer the fear of death. My kids liked A Boy and His Dog the most. For me, however, the clear winner in this set was Don’t Forget Me. It is about a baby talking to God while inside the mommy’s tummy until birth. Mothers will definitely feel a pinch in their hearts over the sweet dialogue. It also offers more than just making your eyes tear up. Don’t Forget Me has scripture readings and discussion guides on the theme of new life. Without giving away the whole book, it offers a heartfelt theme: God is the author of life, from start to finish. There are so many books, especially electronic ones like these, that are available in the market. It can be difficult to go through the choices. But, in reading these, I found a common thread in them that makes me confident in recommending them to others. These books are earnest and sincere, making them perfect reads for families. 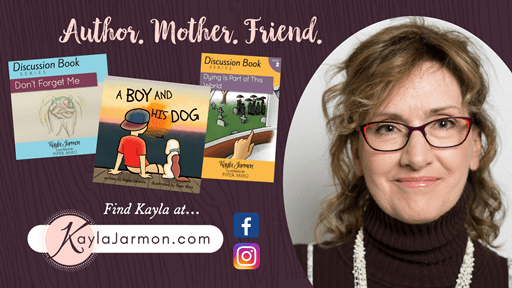 If you want to find more about what other people are saying about Kayla Jarmon and her books, please click on the image below.